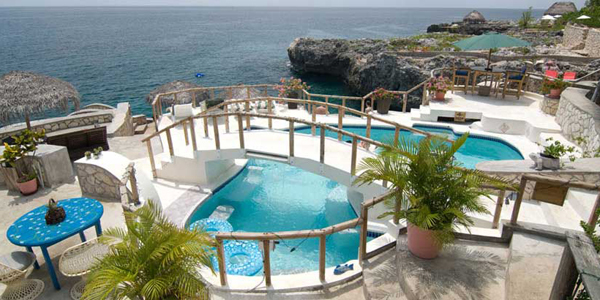 Our lovely little Negril cliff resort property overlooks the beautiful Caribbean Sea. Catcha Falling Star is truly the "Gem of Jamaica". 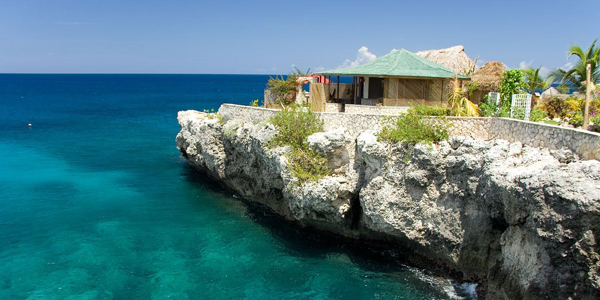 Nestled among the tops of the Negril cliffs of the West End with a spectacular view of the sea below will make you want to "linger longer" in Negril, Jamaica! 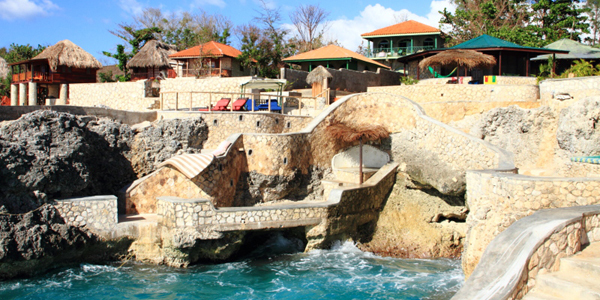 These seaside cliff cottages capture the true essence and ambiance of Jamaica. Now yours to discover. . . A priceless experience! Take a few minutes to follow the path down to the water. Be sure that you bring your snorkeling equipment so that you may fully enjoy our private swimming, sunning and diving cove. The view of the sea, the world famous Rick's Cafe and the Negril lighthouse from the cliffs here at Catcha Falling Star will be unforgettable. And of course you will have your own private sunset each night! Make sure to look for the Green Flash! Ivan's bar and restaurant is open from 7AM daily and offers dining seaside or on your on private veranda. Bon Appetit! We hope that you enjoy visiting us on the internet. Please note, no children under the age of 15. All of us at Catcha Falling Star hope you enjoy this little taste of Negril Jamaica that is our web site and we look forward to showing you how hospitable we can be in person! Come to Jamaica!